April 1, 2019 EXMO Cryptocurrency Exchange holds an Initial Exchange Offering of PTI (Paytomat) token and adds on a possibility to list EOS-tokens. 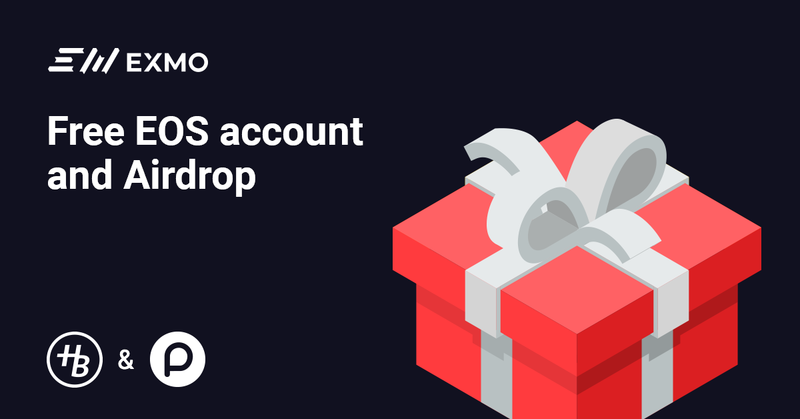 Storage and transferring of EOS-tokens requires an EOS-account (the cost of its creating is about $2). Together with Paytomat we offer a free promo code to create an EOS-account. Get your free promo code (it arrives till April 1 to your e-mail). all the participants who opened EOS-account get 250 PTI to their Paytomat Wallet. HeartBout is a social network based on blockchain technology with a decentralized system to encourage user activity. The social network HeartBout was designed to convert the time spent on the network into income for its users, where they make a profit for their activity in the form of the HB token. The HeartBout token (HB) is a fundamental token of the HeartBout social network. The HB token is designed to encourage the HeartBout social network users` activity and is also directly linked to its advertising opportunities, namely, allows you to pay for advertising impressions.